As we count down the weeks to departure, I find myself wanting to restart this blog so I can post some of the pictures I've continued taking of this surreal landscape. And soon enough we'll be intentionally visiting places for the last time (or in some cases, the first and last time). I'd like to have a record of that. I hope you would too. 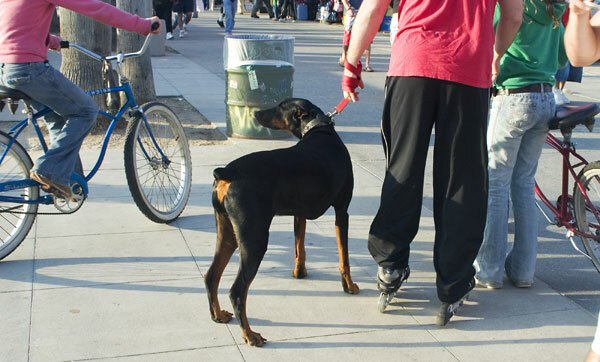 Back in February, we went to the Venice boardwalk, which is a paved path rather than a true boardwalk. Here are my six favorite images from that day. Muscle Beach is a big tourist attraction, a workout room right out in the open. I've always wondered why anyone would want to lift weights with a crowd watching. Oh yes, the tourists like to ogle. This was a quieter moment at the zoo. Just one animal in the cage. A beautiful one, at that. 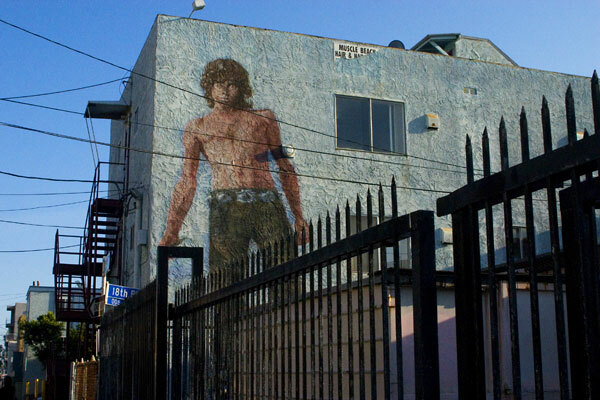 The ghost of Jim Morrison looms large over his old haunts. 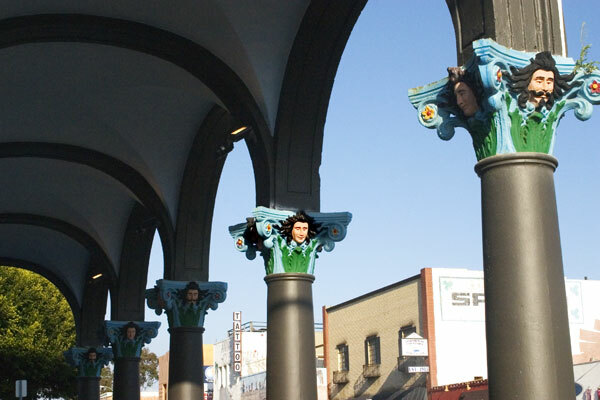 An architectural whimsey, very Venice. 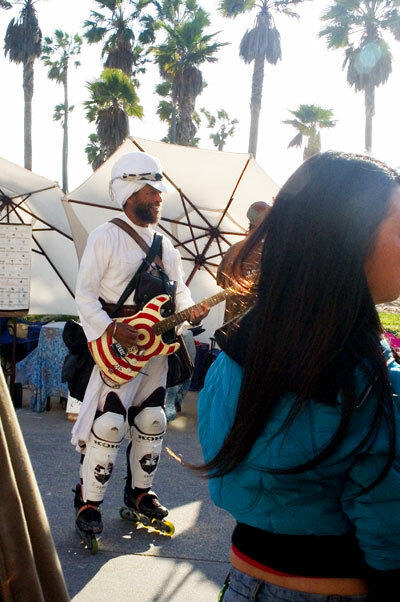 Venice is many things. The boardwalk is only part of that jigsaw. And a few pictures hardly do it justice. But what else do I have?